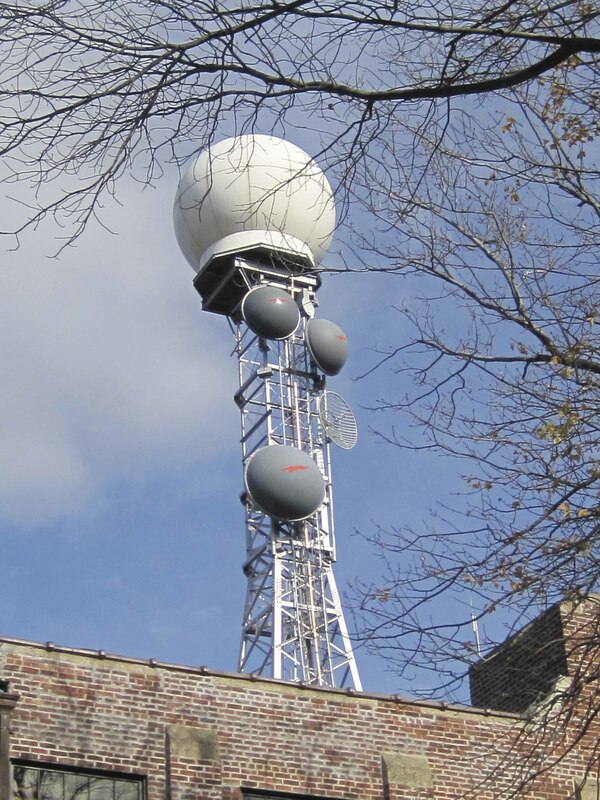 Listening to the radio now, as I do quite often, I never would have imagined the difficulties that plagued it in the past. Although not yet around to experience early radio listening first hand, I have read enough to understand just how close one would have had to have been to the speaker. In fact, headphones were generally required. 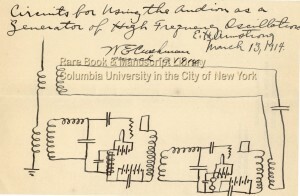 It was here at Columbia University during his undergraduate study that Armstrong made his first momentous discovery, the regenerative circuit, eliminating the need for headphones and providing the foundation of many radio receivers that followed. In 1906, Lee de Forest created the "audion," an early vacuum tube. 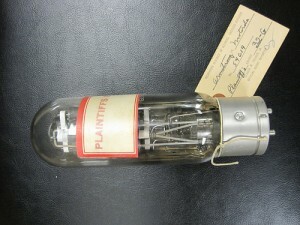 He had added a third element, the grid, to the Edison-Fleming diode. Subsequently, in 1912, he accidentally connected the output circuit of one audion to its own input circuit and obtained a loud howling sound,which he later identified as regeneration. But instead of attempting to understand this hissing or howling sound, he tried to abolish it. A modern day example of this phenomenon results when a microphone is placed too close to its accompanying speaker, resulting in an uncomfortable noise (feedback). 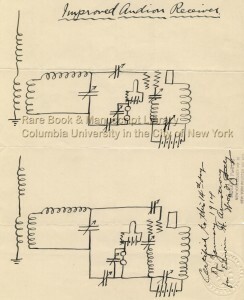 When Armstrong began experimenting with the audion, he took numerous measurements in order to figure out how this tube functioned, eventually devising a circuit that would operate as a powerful amplifier of incoming radio waves (E. H. Armstrong drawing above on left). 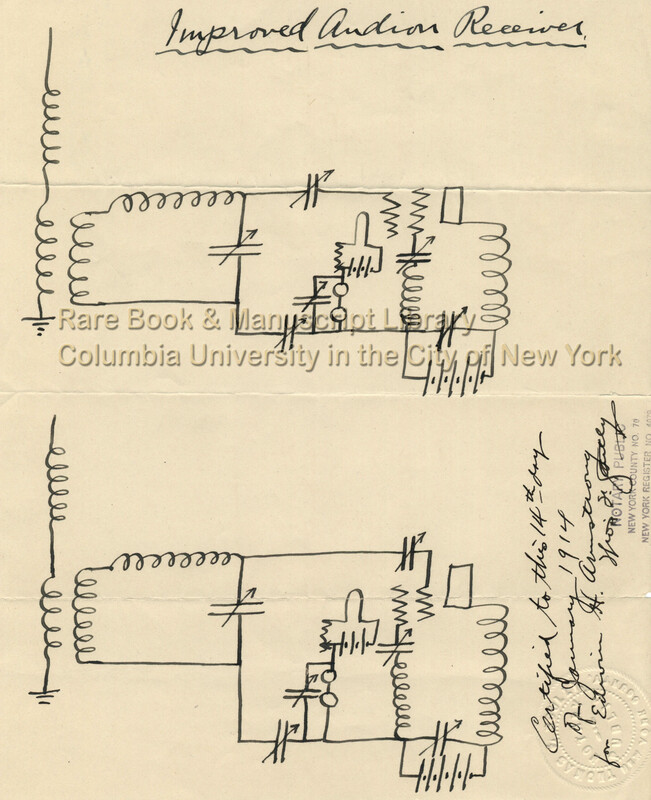 He figured out that if part of the plates output current was fed back to the grid in a controlled manner, the incoming signals were remarkably strengthened . 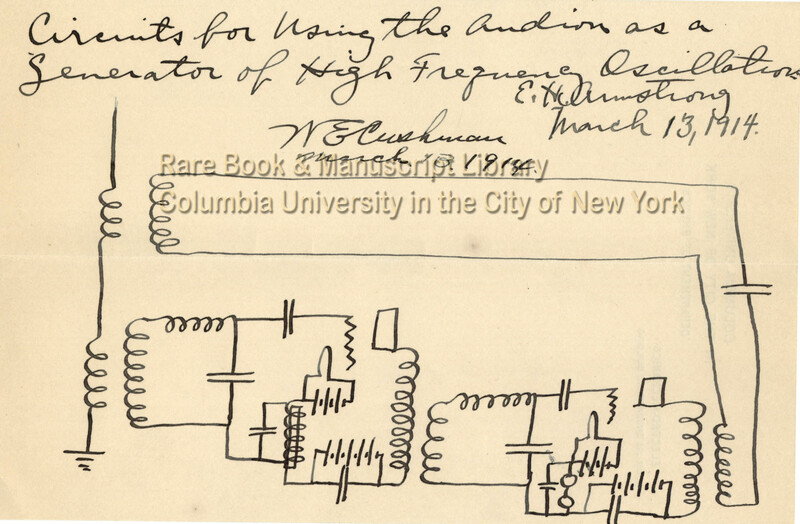 In addition, he discovered that when feedback was increased sufficiently the circuit could be used as a transmitter by generating high frequency oscillations, a required element for radio communications (E. H. Armstrong drawing below). 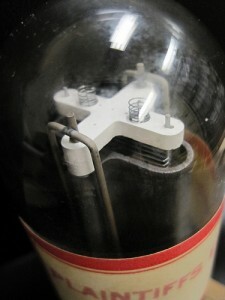 Armstrong’s invention led to a nearly twenty-year legal battle over patent rights. 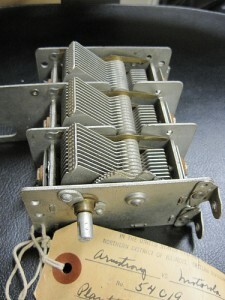 Between 1914 and 1934, he and de Forest fought in court both individually and through the corporations (Westinghouse Electric and American Telephone and Telegraph, respectively) who had purchased rights to their patents. 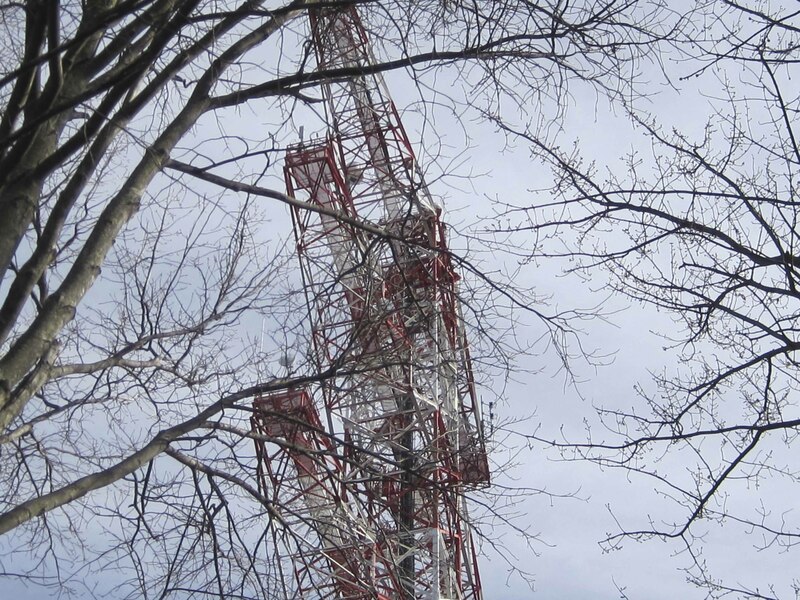 Long and complicated, the battle began when de Forest sat in the audience listening to one of Armstrong’s lectures on the transmitting and receiving properties of his regenerative circuit. Although de Forest had given lectures in 1913 on the qualities of his audion invention, he never claimed it retained any of the capacities that Armstrong had discovered. 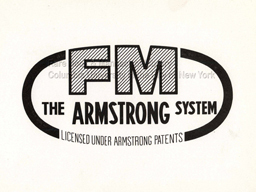 de Forest went on to submit a claim to the same invention in 1914, but the courts upheld Armstrong as the patent owner for the next ten years. It ended in 1934 when the Supreme Court decided in de Forest’s favor. Regardless of the Supreme Court’s decision, the engineering community still recognizes Armstrong as the rightful inventor and has given him multiple awards for it. In 1917, the Institute of Radio Engineers (IRE) awarded him their Medal of Honor and in 1942, the American Institute of Electrical Engineers (AIEE) awarded him the Edison Medal, the highest award of the Institute (In 1963, the IRE and the AIEE merged to form the IEEE (Institute of Electrical and Electronics Engineers). These prestigious awards still stand today. The original early drawings seen here, along with extensive litigation files, can be found within the Edwin H. Armstrong collection. 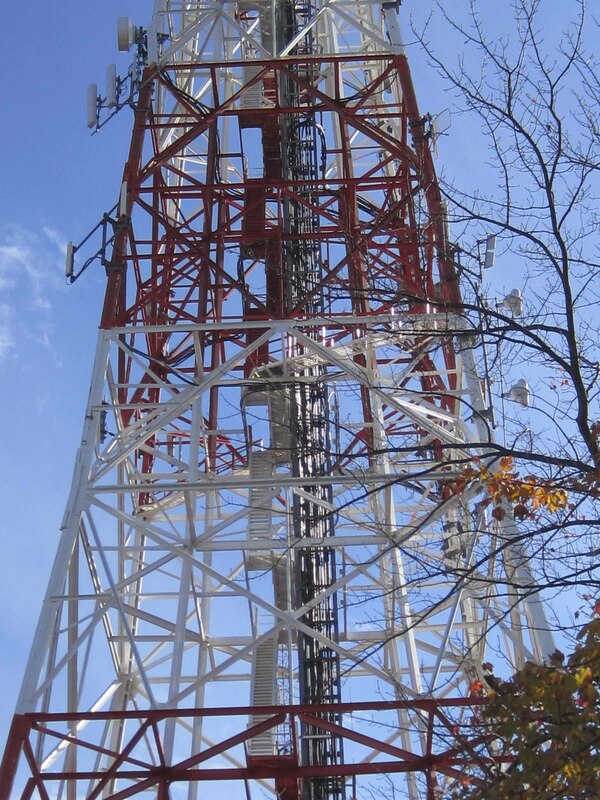 This entry was posted in Popular and tagged American Institute of Electrical Engineers, audion, Edison Medal, Institute of Radio Engineers, Lee de Forest, patent interference, radio receiver, radio transmitter, regenerative circuit, vacuum tube on April 19, 2010 by Jennifer Comins.